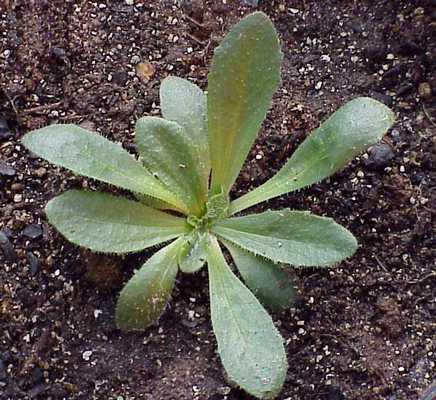 A winter annual with densely hairy elliptic leaves and slightly toothed to entire leaf margins. Found in the United States from Rhode Island to Florida and west to California. 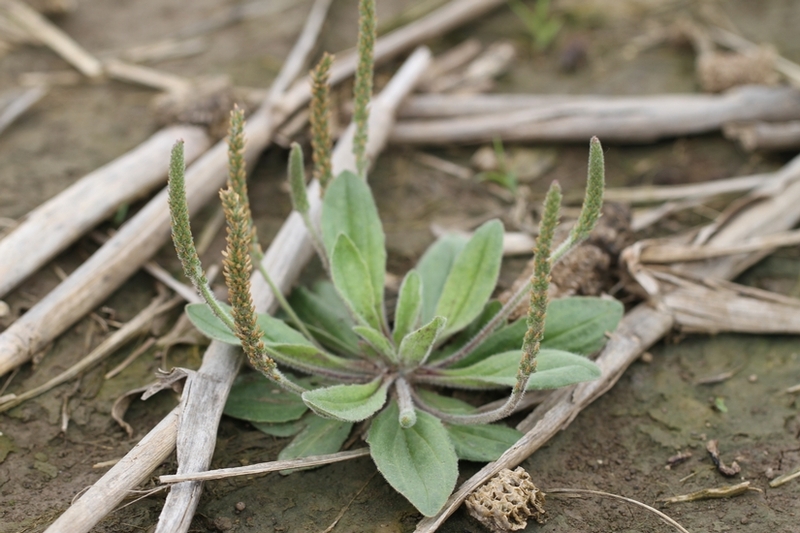 Hoary plantain is primarily a weed of lawns, turfgrass, pastures, and occasionally landscapes. Elliptic in outline, from 3/4 to 6 inches long and 1 to 7 mm wide. 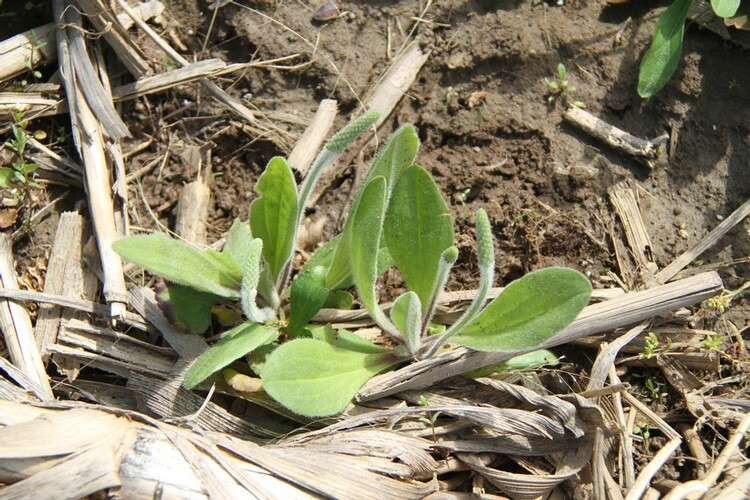 Leaves are densely hairy when young, becoming less hairy with age. Leaf margins are either untoothed (entire) or slightly toothed. 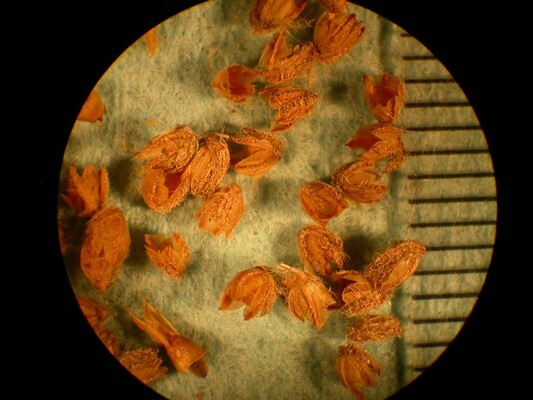 Several unbranched, leafless, flowering stems (scapes) occur on each plant. Scapes are hollow, from 1 1/2 to 7 inches in length. 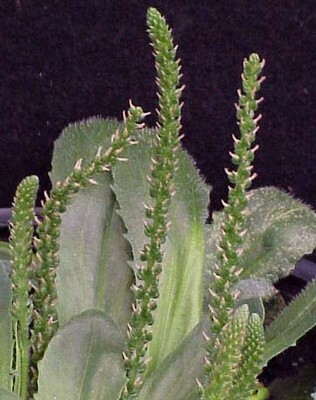 A scape that is unbranched and leafless to 10 cm long and contains many inconspicuous green flowers. 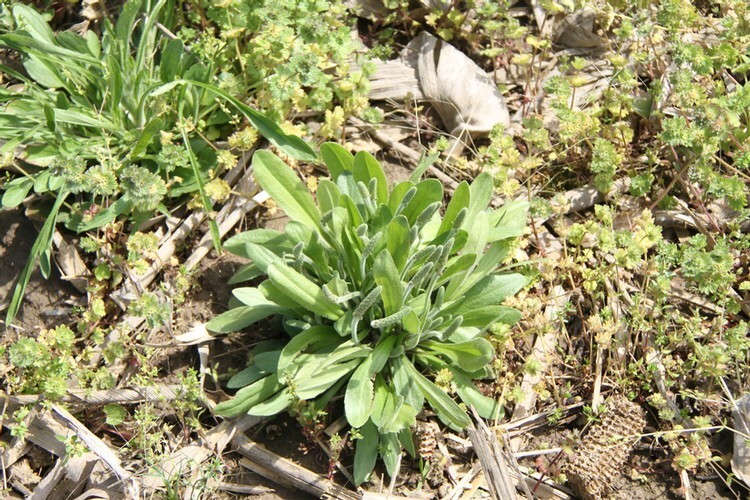 A winter annual with hairy, elliptic leaves and erect, leafless flowering stems with inconspicuous flowers. 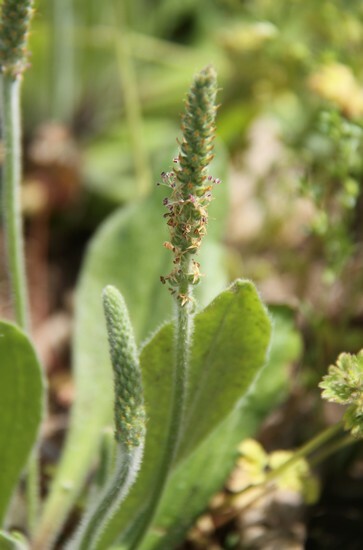 Hoary plantain is similar in appearance to some of the other plantain species, especially Buckhorn Plantain (Plantago lanceolata). 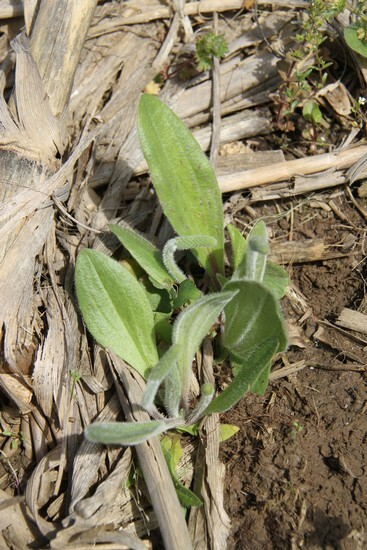 However, buckhorn plantain is not a winter annual and may be only sparsely hairy without toothed leaf margins.